This is a listing of local and area scholarships, generously offered by local citizens, groups, clubs and organizations. After the name of the scholarship, you will find a brief description of the scholarship. Local scholarships are available to only CHHS seniors while area scholarships might include applicants from other schools, like Anderson County or all high school seniors in Franklin County. When possible, we will give both word and pdf documents. You may click on the name of the scholarship and save the document into your computer. Paper copies are also available if requested. Scholarships will also be posted to our Google Classroom - Class of 2019. You may submit scholarships digitally (by email or Google Classroom) or print a hard copy to be mailed. Mrs. Oram will assist students when it comes to printing any required documents. However, it is ultimately the responsibility of the student to submit a completed application. As new scholarships become available I will post them in both the Class of 2019 Google Classroom and here on this site. Please see me if you have additional questions. - Applicant must be enrolled as full-time student (12 hour minimum per semester). - Applicant must be enrolled for the fall semester for the year in which the scholarship is awarded. Mechanics or Heavy Equipment Repair. a GED minimum score of 260. The staff of the East Central Kansas Special Education Cooperative (ECKSEC) encourage talented and dedicated students in the 8 school districts we serve to pursue a career in Special Education or Related Services. This scholarship is funded by donations from ECKSEC staff, who are committed to giving back to our profession, supporting the development of a new generation of professionals to serve students with special needs. - A full time student (12 hours minimum, or the equivalent) at any post-secondary education institution. CH Graduating Seniors are encouraged to apply for our scholarship(s) by Feb 15th through the CHHS Counselor’s Office. The CHHS Counselor will provide hard copies and/or electronic copies to Pottawatomie Township Ruritan Club, c/o Jim Kimball (jkimball@ksu.edu) until further notice. The Pottawatomie Township Ruritan Club will award two (or more) $250 scholarships. Short Essay required. Each year Richmond Ruritan Club request that graduating CH Seniors apply for scholarship(s), by February 15th, on the website, www.richmondruritans.com. Franklin County Farm Bureau is offering four $500 scholarships to Franklin County seniors whose parents are Farm Bureau members and who are planning to attend a two- or four-year college or technical school. The scholarships can be used at an out of state school, as well. P.E.O. Chapter GL, of Ottawa, is offering the Charlene Faringer Trust Scholarship. The amount of the scholarship is $500. You may apply for this scholarship if you are a female and will be attending an undergraduate course of study in the fall of 2019 at an accredited 2 or 4 year college, university, or vocational-technical school. First preference will be given to a student planning to attend Cottey College in Nevada, Missouri. Applicants are to be a Miami County resident and high school senior or college freshman. One $500.00 scholarship will be awarded, divided over two semesters. The applicants may enter any field of study, at an accredited school (College or Vo-Tech). 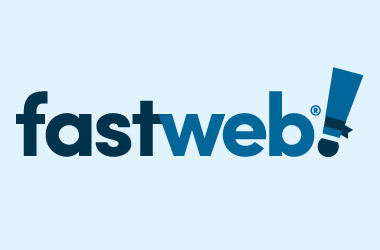 Fastweb is the premier online resource for paying and preparing for college. It a search engine designed especially for college scholarships. This is a great tool that you can start utilizing WELL before Senior year starts. It will connect you to a variety of different scholarships that are out there. Fastweb members are matched to relevant scholarship opportunities completely free of charge. With roughly 1.5 million scholarships worth more than $3.4 billion, there are scholarships for every student’s educational goals, activities and interests. This is another popular search engine that allows for you to search numerous state and national scholarships. Some of these scholarships do not require an essay and are relatively easy to apply for. You can also take some time to research colleges that may be of interest to you. College Greenlight is a totally free resource for any traditionally underrepresented student who is serious about getting into and thriving at their perfect college. We help students discover, research, and build relationships with the colleges and universities that will allow them to succeed. And because every hard-working student deserves access to a wide variety of financial resources, we've built an easily searchable database filled with thousands of scholarships, grants, and merit-aid opportunities. Our students receive a customized list of the awards best suited to their academic, social, and community accomplishments.